Following on from their free give away last week, Amazon.co.uk have got into the spirit of Halloween and are giving away another seven apps today only. 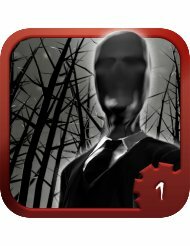 Amazon Appstore is getting in the Halloween sprit today by giving away a bundle of ‘scary’ apps worth over £4 for free! Including everything from Zombies, to spiders; the bundle is part of the ‘Free App of the Day’ initiative, which enables customers to download a paid app or game for free every day. All ‘Free Apps of the Day’ and bundles are specially selected and customers can discover these directly from the Amazon Appstore on Macs, PCs or Android phones and tablets (including the Kindle Fire range).